Attached is an article from the March 21st edition of the Bexhill Observer. Christian Voices raised £400 for the Barby Keel Animal Sanctuary. We were very pleased with the audience figures for “Ezra” and they were very generous with their giving. Definitely on our Christmas card list – thank you all. Barby Keel Animal Sanctuary is Registered Charity No. 1095382 and there website can be found here. 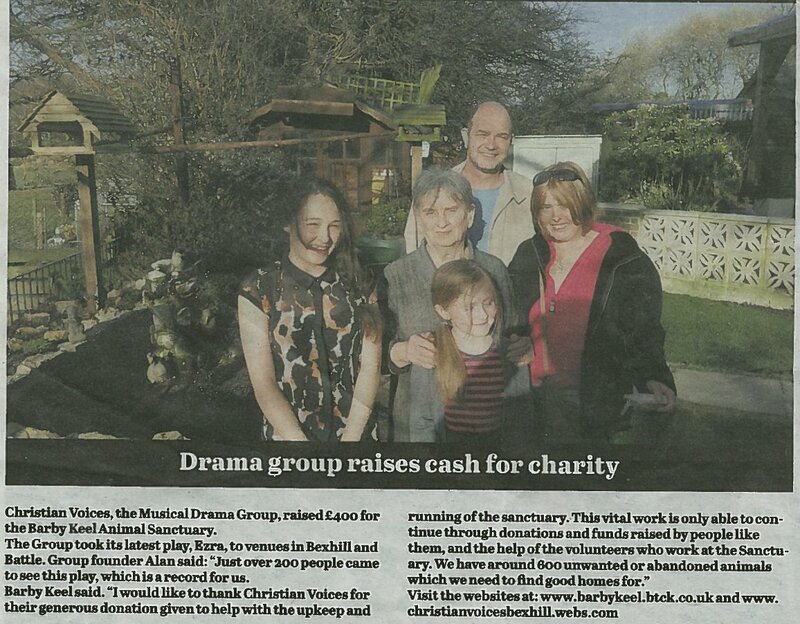 Posted by christianvoicesbexhill on 27/03/2014 in News, Performances, Press and tagged Fund Raising, News, Plays, Press.